EDIT: Original post was too long and rambling. One advice by wise female council, I decided to turn this into two separate posts. This is the first. July 5, 2014. 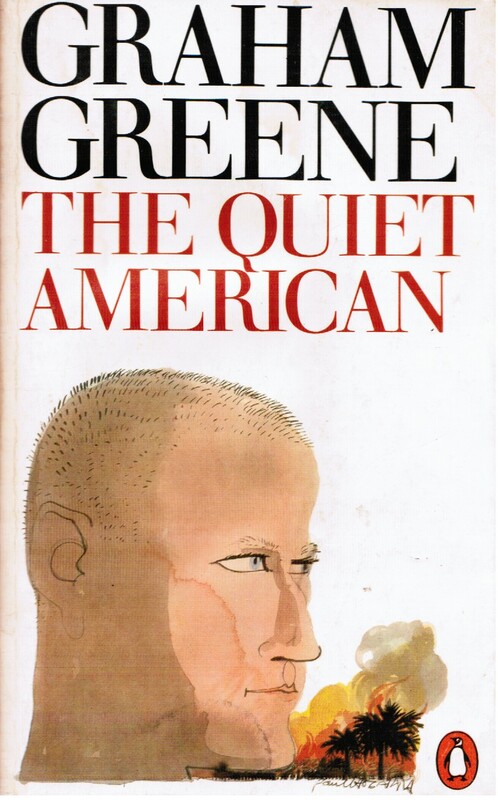 The “Quiet American” is not a popular book in the United States of America, but to me it described the dilemma and dangers of being American very well. The book by Graham Greene can be read as a simple love triangle between an old and corrupt French colonial officer of Indochina. His mistress is a young Vietnamese girl. She is delicate and beautiful, but also full of youth and potential who is eager to please her masters whom she shapes subconsciously. This relation becomes a volatile triangle when a young and innocent American enters full of good intentions. He falls in love with Indochina, sets out to free it from all the shackles of a corrupt past, but being ignorant and well-educated, his actions destroy all corners of the triangle in an unintended violent crescendo of people who follow their emotions that nobody can control once the equilibrium is disturbed. About 10 years after Graham Greene wrote his book, a friend of mine, Ron, served as a 20-year old as the door machine gunner with the First US cavalry. He does not talk much about his time with this Army helicopter unit that was fighting hard in Vietnam along many honorable Vietnamese most of whom, he says, vanished. Ron credits the war in Vietnam to have saved his life as it provided him a way out of the gang-infested poor neighborhoods of Los Angeles that he grew up in. The Army also provided him with an education and element of temporary stability that gave him one basic element for a somewhat crazy but happy life. He did not go to Vietnam with intentions to change the world, and he did not, but he came back with an education more profound and deeply human than any arm-chair writer or sailor could ever wish for. Ron’s education is not as formal as that of almost everyone aboard FS Polarstern a German research icebreaker where I spent my last 5 weeks working off Greenland, but Ron’s mechanical skill, common sense, and independent spirit matches several people aboard who have not had the privilege or luck to go to university, graduate school, and all that follows. Nevertheless, Ron, Jo, and many like them do know and care deeply about nature and people and how to make things work that are difficult to penetrate for most academics. Great new things happen, however, when the formal and the informal, the male and the female, the pacifist and the warrior come together with respect and humility to listen to each other without blowing screens of smoke into each other’s faces. 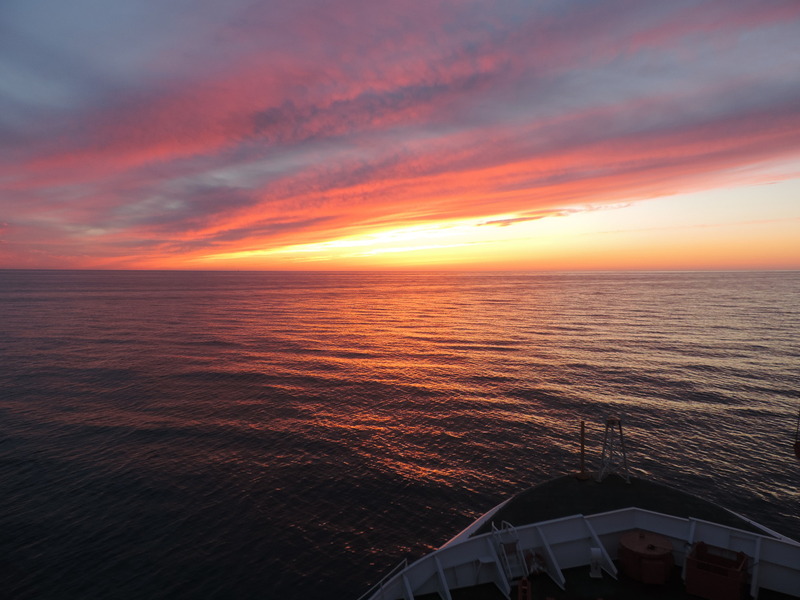 Sunset over the North Sea heading to north-east Greenland. And a happy 238th Birthday to my adopted country on this 4th of July. This entry was posted in History, Polar Exploration, Uncertainty and tagged Bruce Chatwin, climate, exploration, Greenland, helicopter, informal education, Sara Wheeler, tipping points, Veterans, Vietnam. Bookmark the permalink.